A while ago I wrote about an experiment I did after I’d found myself stuck again. Despite ditching the usual expert advice of ‘sensible’ marketing and business ‘should-dos’, it resulted in my best August – EVER! I stopped listening to my head, and did what I thought would be FUN instead! You can read it about it here. It was such a valuable thing to do and has helped my business immeasurably. Perhaps you’ve had similar successes yourself when you threw caution to the wind and followed your joy. If so, I’d love to hear what you did. One of the unexpected benefits of my experiment was that it totally freed up my creativity, so I’ve been playing around with ideas for more lovely things to do that I could share with others to have an amazing experience. …I invite you to join me for my new VIP Transformational Spa Experience! The inspiration for this came about because I love taking part in sweat lodge ceremonies and I wanted to find a way to translate the deeply nurturing and transformational experience of the day for others. A sweat lodge is essentially a traditional Native American Indian spiritual ceremony of inner reflection and its purpose is for connecting with yourself and Spirit in a really profound way. It cleanses you of old, stagnant energy, making space for the new and welcomes in your desires. It’s deeply healing and very powerful. Some kind of amazing alchemy happens as you set clear intentions and deeply let go in the dark, hot, steamy, womb-like space of the lodge. 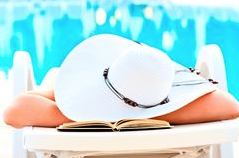 Think ‘completely relaxing on a sun lounger on holiday for a fortnight with nothing that you have to do’, and you might get somewhere close to the level of letting go that you can experience in the sweat lodge in just a few hours. And of course not only does your body relax, but more importantly, so does your mind. And in the space that’s created when you stop thinking of all the stuff on your to-do list, all kinds of creative ideas bubble up from the wiser part of you – your inner teacher – that inspires you to make changes that are aligned with your true path. But not everyone loves sitting in a field all day, semi-naked, with a group of strangers and smelling of bonfire! And I wanted to create something extremely unique and personal for individuals, rather than groups. 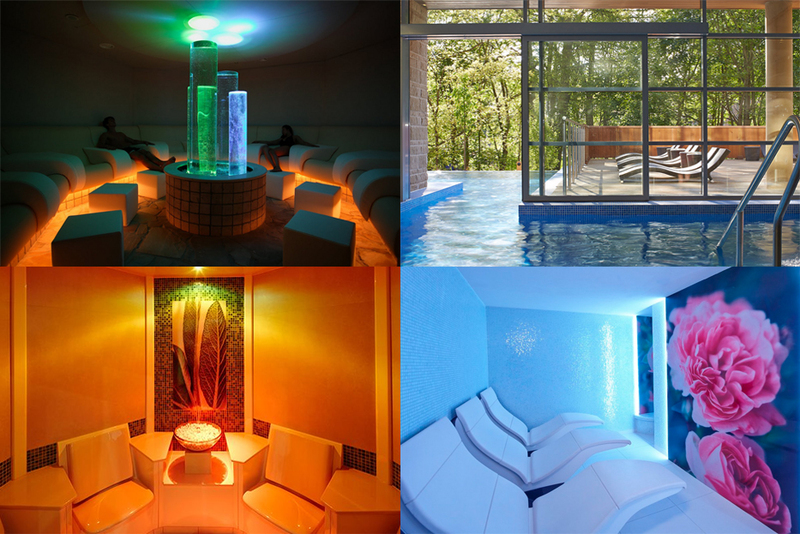 But this will be held in the beautiful, luxurious, multi-sensory environment of the Aqua Sana Spa in Woburn Forest. This programme is for people who are excited about making profound changes, and who want to go much deeper, to let go of limiting stories and fears that they haven’t been able to shift through regular coaching or therapeutic sessions. We all carry fear, negative beliefs and unprocessed pain from our past story in our unconscious mind that influences our thoughts and who we’re being.Along with all the other positive experiences we had in life, it’s what gives us our unique energy signature. And we attract experiences that are a vibrational match to that energy. 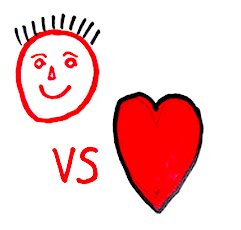 To create different experiences you need to transform or release the negative energy (emotions), which will change your thoughts and raise your vibration, making you energetically attractive to what you do want. You don’t need to try and make things happen or force them. You simply create with ease because of who you are being and the new way you are thinking. But first you have to be willing to access the pushed down fears and pain from the past, which means getting into a really relaxed state to access the deeper levels of the unconscious mind where the oldest programmes and beliefs are stored. I’ll guide you through that process in a really safe and gentle way. Doing just ONE HOUR of this work is powerful and can create all kinds of positive results: harmony and clearer boundaries in your relationships, clarity, focus and direction in your work, improved energy and vitality, restored flow of abundance through all areas of life. Imagine how much more can be transformed by spending a whole day together! And not only will you have a gorgeous day, being supported by me to do this deep soul work, but you’ll be able to relax and unwind in modern and beautiful rooms that uplift your spirits, delight your senses and nurture and soothe your body. There are over 15 different rooms to explore from meditative to stimulating, recharging you, restoring harmony and relieving your mind and body from stress so you feel completely renewed. 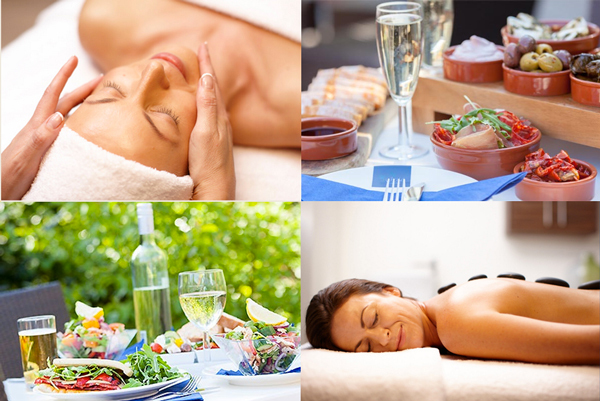 You’ll have beautiful food and refreshments, and receive a choice of luxurious pampering treatments. And before we even do the spa day we will meet on Skype for a two hour deep-dive session in preparation for the day. Because doing such deep work WILL stir up a lot of old programmes, I want to make sure you are properly supported after. (This article explains more about what is likely to come up). So that’s it! I’m super excited about it and I can’t wait to share it with you! I’m 100% certain it will be life changing on so many levels, and to celebrate I am offering this gorgeous package at a special introductory price of £1500. If you haven’t worked with me before, and you would like peace of mind that this work is right for you before considering making a bigger investment, why not book in for a one-off 60 minute Flow Alignment Session with me? I charge £77 for new clients – less than half my usual fee – which can be redeemed against this, or any other longer programme I offer. Simply follow the link to choose a time via my online booking service and to pay via Paypal. Many people I’ve worked with have experienced profound breakthroughs in just one session, and if you’re willing to let go, we can clear your uppermost blocks with ease and help you get clarity about your next steps. At the end of the session you will intuitively know the potential for significant change through further work, or that it’s not right for you right now. So if this sounds like something your body, mind and spirit would love to do, or you intuitively know it’s something you need to give yourself, email me at cathy@cathyballard.com and we can have a chat to discuss the details, or book a single Flow Alignment Session. I look forward to welcoming you to a magical journey!